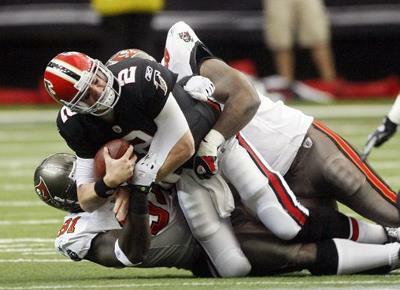 The Bucs lost their finale game of the season at home to the Falcons on Sunday, 20-10. The Bucs had plenty of motivation to try to save the job of head coach Raheem Morris, which may be in jeopardy along with general manager Mark Dominik. It has been rumored that the Glazers have met with former Pittsburgh head coach Bill Cowher about his interest in coaching in Tampa Bay. Many of these questions will be answered in the weeks to come. The Bucs have also moved up to the third pick in the 2010 NFL Draft after a Kansas City win this weekend. The Bucs' fans may get more satisfaction over the next few months then we did over the 2009 season. The Bucs finish the season with a 3-13 record. If you would have told me before the game that the Bucs were going to win against the Saints 20-17 in overtime, on the road, I would have said you're crazy. But that's what happened. The Bucs did the unthinkable in upsetting the Saints in overtime. The Bucs scored 20 unanswered points, including Connor Barth�s 47-yard field goal to win the game in overtime. Cadillac Williams rushed for 129 yards in the win. The Bucs are now 3-12 and have won two straight games on the road. This all happened on the same day that the Glazers discussed with Super Bowl-winning head coach Bill Cowher his interest level in coming to Tampa Bay in 2010. With this win, Raheem Morris may have made the biggest statement in wanting to keep the job. 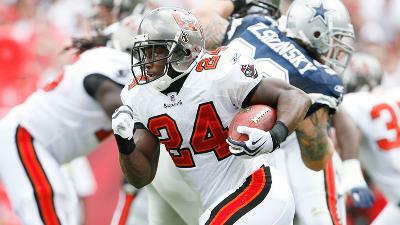 The Bucs surprised everyone with a 24 - 7 victory over the Seahawks this Sunday. This win has virtually eliminated the Bucs from the Ndamukong Suh sweepstakes in this year's NFL Draft. A player that could have gone a long way in helping the Bucs rebuild a team in need of playmakers on the defensive line. This was a good win for a team that needs to start showing improvement if Coach Raheem Morris is going to be retained next year. In the long run this win could have done more damage than good. Tampa Bay's defense forced five turnovers this Sunday while rookie QB Josh Freeman tossed two TDs and just one pick. The Bucs will travel to New Orleans and take on the 13-1 Saints next week. 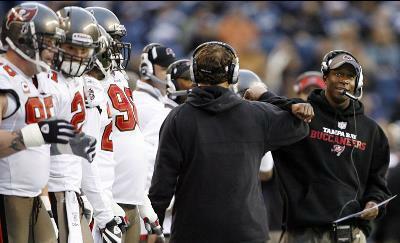 The Bucs lost to the New York Jets at Raymond James Stadium, 26-3. Bucs rookie QB Josh Freeman threw three interceptions while the offense only produced just 124 yards. The much anticipated Mark Sanchez vs. Josh Freeman showdown between 2009 first-round picks never materialized. On the day Freeman only completed 14-of-33 passing for 93 yards, getting sacked three times, throwing three picks and producing a QB rating of 12.1 - it's safe to say that Sanchez would have easily won this quarterback duel had he played. The Bucs are now 1-12 on the season will travel to Seattle this Sunday to play the Seahawks. The Bucs lose another game 16 - 6, this time to the Carolina Panthers making the Bucs record a meager 1 and 11. The Panthers were without their starting Quarterback and Running Back and the Bucs still were no match for the Panthers. The Bucs' offense was in the red zone 6 times during the game and only came away with 6 points. QB Josh Freeman didn't help the Bucs cause either by throwing five interceptions in the game. This week the New York Jets come to Tampa Bay. At this point in the season a win will only hurt our draft position. Go Bucs? Bucs head coach Raheem Morris didn't like what he saw from defensive coordinator Jim Bates so he demoted him last Monday. After failing to record a sack in the last two games, Morris' defense recorded six sacks against the Falcons, matching their season-high against Green Bay. The defense played much better in Atlanta, but not quite enough to earn a victory in a hard-fought 20-17 loss to the Falcons. Freeman completed 20-of-29 passes for 250 yards with two touchdowns, no interceptions and a QB rating of 118.5. Still the Bucs offense could not do enough to take control of the contest in the fourth quarter to win the game. 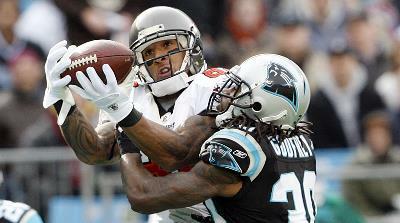 The Bucs are on the road again this week as they travel to Carolina to take on the Panthers. 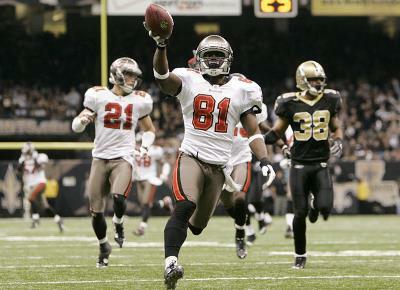 The Bucs were no match for the undefeated New Orleans Saints this weekend losing 38 - 7 and dropping their record to 1-9. Josh Freeman continues to learn on the job throwing three interceptions on the day and a fumble. He had to know there would be days like this. The only bright spot of the day was the Bucs' opening drive when Freeman led them down the field for a touchdown. You could see some of the tools that made him a first round draft pick. This weekend the Bucs travel to Atlanta to play the Falcons. Let's see what type of progress Freeman makes and if he can do a better job protecting the ball. After a bad instant replay call that showed that Michael Clayton should have been called down, the refs decided it was a fumble and gave the ball to Miami deep in Buc territory. That led to 7 points for the Dolphins and a 19 to 6 lead for the Dolphins at halftime. During the game, new kicker for the Bucs, Connor Barth, hit 3 field goals from 50 yards and beyond which tied a NFL record. 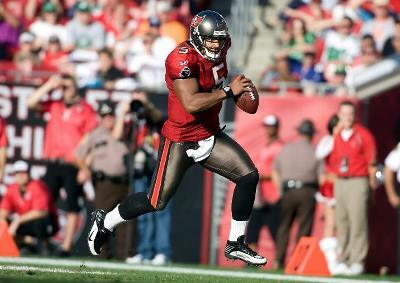 The Bucs rallied behind QB Josh Freeman in the second half to take a 23 to 22 lead with only 1:14 left in the game. The Dolphins kicked a game winning field goal with time running out to beat the Bucs in a close one 25 - 23. It doesn't get any easier for the Bucs as they face New Orleans next week in Tampa. 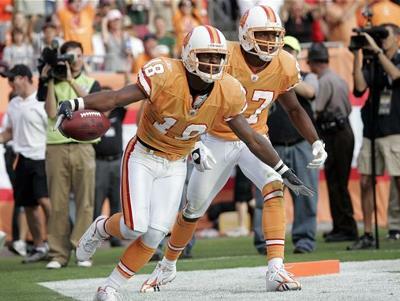 Donning throwback orange and white uniforms for the first time since 1996, the Buccaneers played like champions. A dismal 11-game losing streak dating back to last December ended with a 38-28 victory over Green Bay. QB Josh Freeman overcame some rookie mistakes to complete 14-of-31 passes for 205 yards with three touchdowns, including two in the fourth quarter to Kellen Winslow and Sammie Stroughter. The Buccaneers rallied when they were 11 points down and delivered Raheem Morris his first win as a head coach. This week the Bucs travel to Miami to take on the Dolphins let she if we can't get another win. The Buccaneers played their first-ever regular season game overseas in London hoping that the change of venue might change their luck. The Bucs and New England gave the crowd a treat as the NFL came to Wembley Stadium in London. The Bucs were unable to get their first win of the season as they got blown out by the Patriots 35 - 7 for the whole world to see. 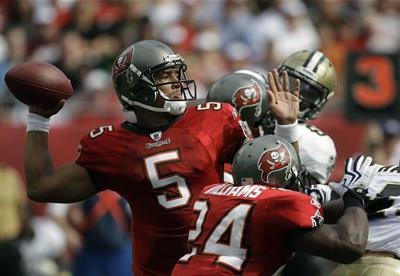 QB Josh Freeman did make his debut as a Buc in the fourth quarter. It's unclear whether Freeman will remain the starter after the bye. The good news is I can guarantee that the Bucs won't lose next weekend. The bad news is that is because it is their bye week next weekend. The Panthers toy with the Bucs handing them their 6th loss of the year, 28 - 21. After two momentum-changing touchdowns from Sammie Stroughter on a 97-yard kickoff return and a 26-yard interception return from free safety Tanard Jackson, the Bucs evened the score at 21-21 with 8:33 left in the game. The Panthers wisely turned to its ground game and on its final possession of the game scored with only 29 seconds left. 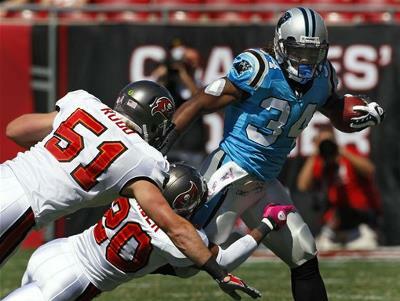 The Buc's allowed Carolina to rush for 267 yards and three touchdowns. Williams rushed for 152 yards and two touchdowns on 30 carries on Sunday, while Stewart picked up 110 yards and a score. Next week the Bucs get New England in Europe. Let's see if they can stop this losing streak. The Buccaneers remained winless under new coach Raheem Morris and extended their losing streak to nine games, dating back to last December, losing this weekend to Philadelphia 33-14. 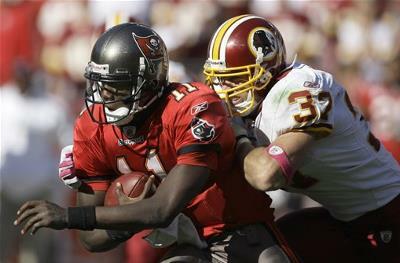 QB Josh Johnson was plagued by dropped passes and 3 interceptions, but threw two touchdowns for Tampa Bay. 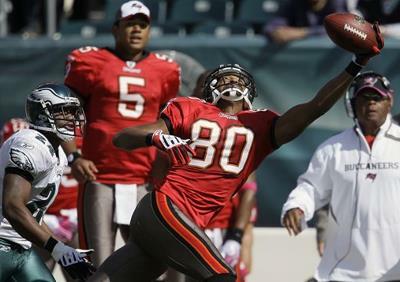 The only bright spot this weekend was Bucs TE Kellen Winslow who had nine catches for 102 yards and two touchdowns. Next weekend Carolina comes to Tampa to take on the Bucs. This may be the first locally blacked out game in Tampa for sometime. If the Bucs don't start winning, the Tampa Bay area may not be seeing too many home games on TV this season. The Bucs got off to a good start with a 10-0 halftime lead, but the second half saw the Redskins storm back winning 16-13. Two missed field goals by Mike Nugent in the first half doomed the winless Buccaneers and cost Nugent his job. The Bucs travel to Philadelphia next Sunday to take on the Eagles. Coach Morris has already declared that quarterback Josh Johnson will make his second career NFL start. The Bucs were more competitive last Sunday that must continue or the fans will start asking for Josh Freeman. Once that happens you can be sure the season is over. The Bucs have to win now! Most of the blame for the Bucs' first two losses was placed on the defense. In Sunday's 24-0 loss to the New York Giants, the Tampa Bay offense was a major reason for the outcome. The offense was only able to manage 28 yards rushing and 58 yards passing for the entire game. Remember the Giants had been giving opponents on average of more than 325 yards a game this year. The Buccaneers have benched starting quarterback Byron Leftwich and have replaced him with second-year pro Josh Johnson. Morris said he was not blaming the loss on Leftwich, but felt Johnson earned a chance to start Sunday at Washington. 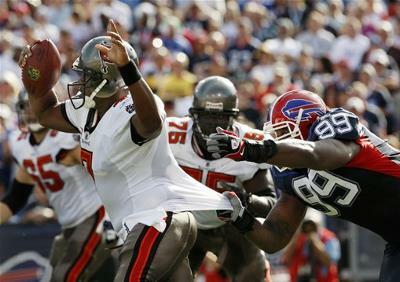 The Bucs fell behind early 17 - 0 in the first quarter and were unable to recover losing to Buffalo 33 - 20. The Bucs' defense for the second week in a row gave up more than 30 points and Leftwich was under constant pressure making it hard for the Bucs offense to be consistent. It's just a matter of time before the Bucs start Josh Freeman. 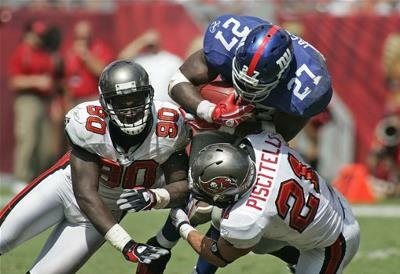 The Bucs' next 3 opponents are brutal with the NY Giants coming to Tampa this weekend. Then the Bucs go on the road to Washington and Philadelphia. At this point, the Bucs could very well be 0 and 5 and don't be surprised if the Bucs start Josh Freeman when they return home week six against Carolina. Let's see if the Bucs can regroup this weekend. Tony Romo with a career-best 353 yards passing, including three long touchdowns that keyed a 34-21 victory and ruined the Bucs' debut under Coach Raheem Morris. Cadillac Williams and Derrick Ward each scored on 1-yard runs for the Bucs, who rushed for 174 yards but eventually had to abandon the running game. Cadillac Williams, back after having knee surgery twice in 15 months, finished with 97 yards on 13 carries. Ward ran for 62 yards on 12 attempts and was the catalyst on a long second-half drive that briefly put the Bucs back in the game. The Cowboys hit too many big plays in the game and the Bucs weren't able to answer. The Bucs will be on the road next week against the Bills looking for their first win of the season. Bucs defensive coordinator Raheem Morris will succeed Jon Gruden as head coach in Tampa Bay and director of pro personnel Mark Dominik will be replace Bruce Allen as general manager. Morris has spent six of the last seven seasons on Tampa Bay's staff, most recently as the defensive backs coach in 2007-08. Dominik's unbroken tenure with the team dates back to 1995; he has served as the team's director of pro personnel for the past eight years. Morris, 32, signed a two-year contract to become the new defensive coordinator on Dec. 24. 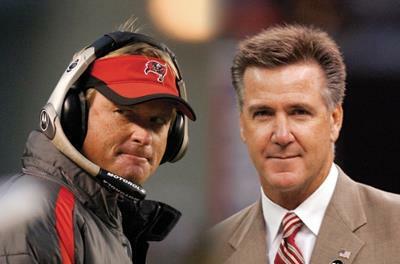 The Bucs fired head coach Jon Gruden and general manager Bruce Allen on Friday just three weeks after the team's 2008 regular season ended with a 0-4 collapse and 9-7 record. 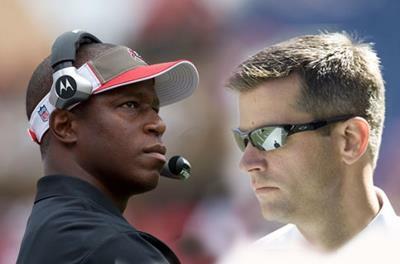 The rumor mill suggest Raheem Morris and Mark Dominik will replace Gruden and Allen as head coach and general manager.